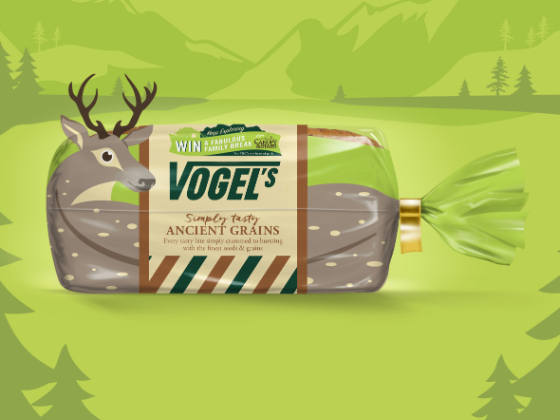 Since 1954, Vogel’s have been baking speciality breads and selling in major supermarkets. 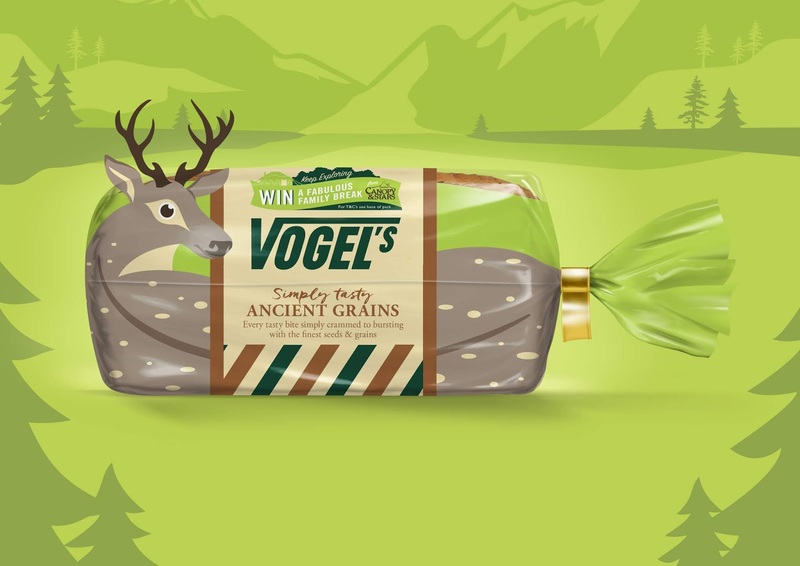 After successfully working with the brand on a previous branded packaging project, they approached us for a second time to create some disruptive bread packs that would engage shoppers with their most recent campaign and build on their ethos of being ‘at one with nature’. 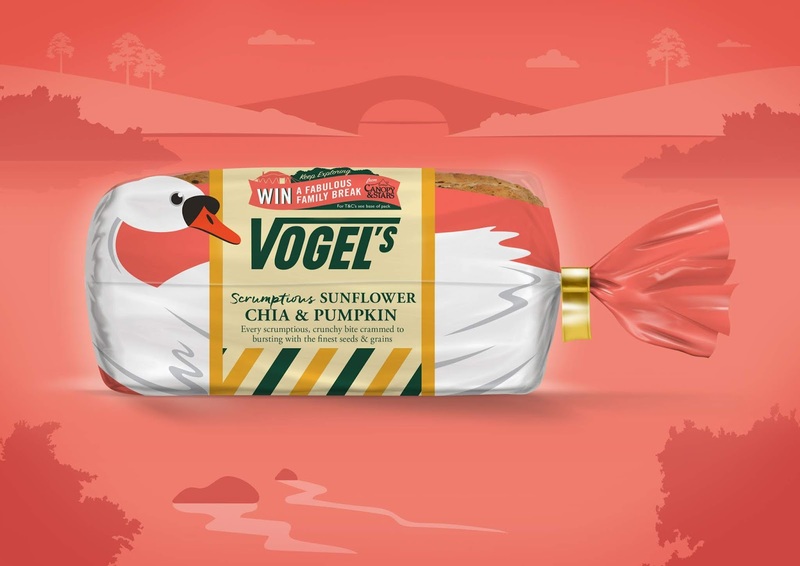 Our goal was to give bread shoppers something a bit different with a pack takeover, embodying the shape of a single animal and moving away entirely from the standard pack design whilst retaining Vogel’s distinctive logotype. 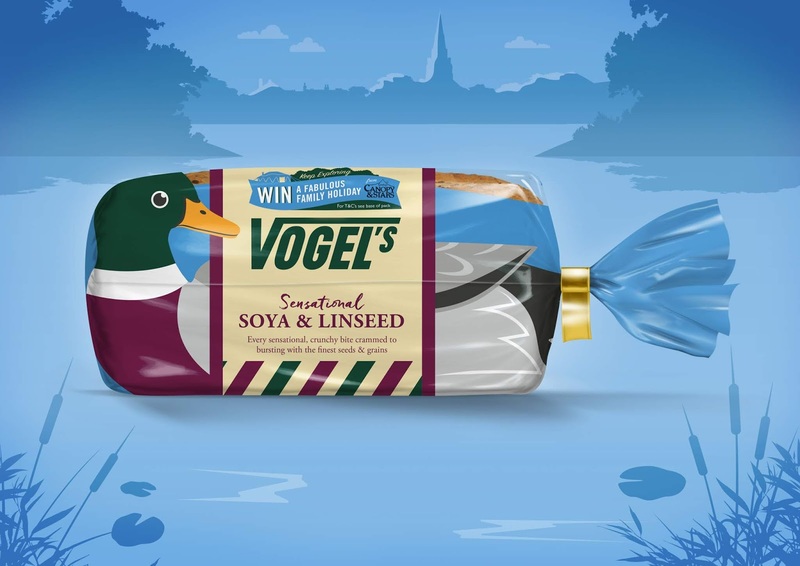 Four widely recognised animals were chosen to take over the different speciality bread packs to create a visually striking range of breads to shine in the bread aisles, including a quintessentially English swan, otter, mallard duck, and a deer. 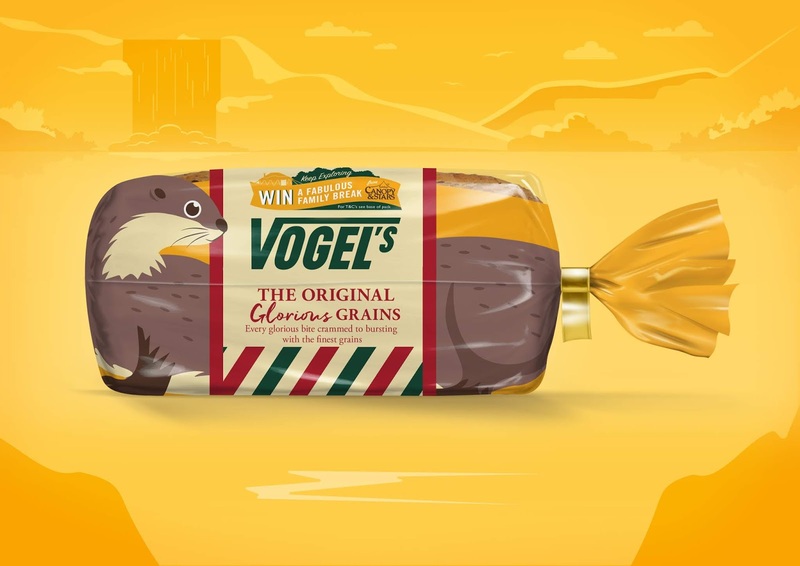 The starting point was choosing the right British animals to engage the Vogel’s consumer and work as a pack take-over. 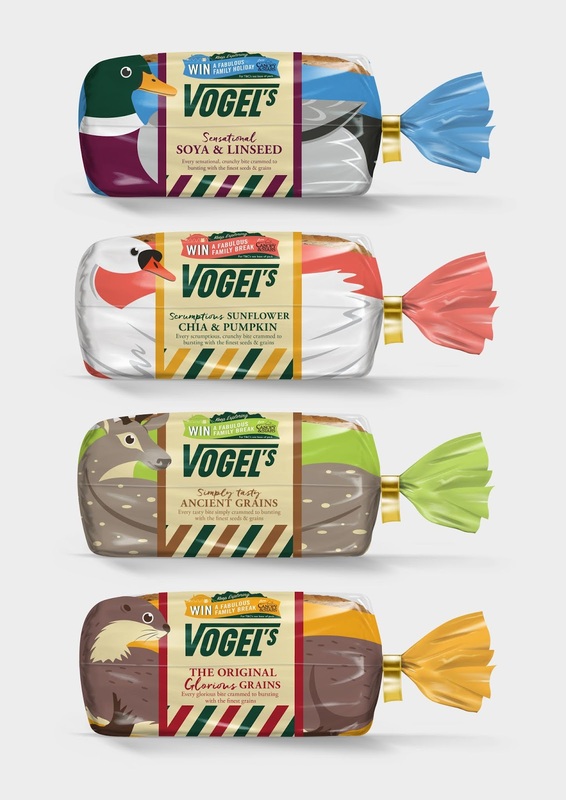 Then it was about creating a pack range that would sit well together on shelf and enhance the taste appeal of each speciality bread through the use of colour.